Paschal candle decorations transform a simple white pillar candle into a beautiful religious candle rich with symbolism representing the Light of Christ and the resurrection. Although the actual services, celebrations and traditions of each of the religions are different, one thing that remains constant throughout all of the religions is the symbolic meanings of paschal candles. 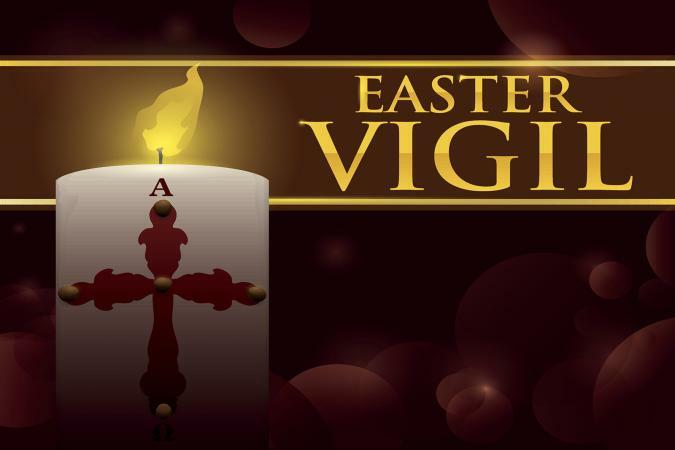 In addition, if you compare the Easter candles of two different religions they may appear to be somewhat different looking, yet the basic symbols and decorations will be the same. This holds true whether you look at a six inch tall paschal pillar candle decorated at home with carvings and paint or a 36-inch long paschal church candle adorned with symbols. The symbol of a centrally located cross signifies that the candle is a paschal, or Christ, candle. The cross and the flame of the candle are symbols that the flame still burns despite the pain and suffering Christ endured on the cross. Paschal candles often have five nails, one placed in the center and one placed at each of the four ends, symbolizing the wounds Jesus suffered on the cross. Incense is generally placed into each of the nails. If you are making a paschal candle for your home, instead of nails many people use whole cloves, thumb tacks, straight pins or upholstery nails. With this design the alpha symbol is centered above the cross and the omega symbol is centered below the cross. A Paschal candle kit from Holy Heros includes everything needed to make a beautiful eight inch Easter candle. Instructions for making a paschal candle are supplied by Domestic Church. Church Supply Warehouse offers a number of different sizes and styles of paschal candles for church and home use. Generally made of at least fifty-one percent beeswax, the paschal candle remains in its place in the front of the church throughout the Easter season and is lit for all services. Once the fifty day Easter season ends, on Pentecost, the candle is moved to its position by the baptismal font and is lit for all baptisms. It is also lit for all funeral services and is placed next to the casket at those times. In both baptism and funeral services the significance of the paschal candle decorations remain the same as they were during the Easter season. They are symbols that God is always present with you from the beginning to the end.